Take a trip south of the border without leaving the country with Luminarias – the eatery on the hilltop of Monterey Park that has been serving authentic Mexican cuisine to local families for over 40 years. Surrounded by breathtaking views of the San Gabriel Valley by day and illuminated by dazzling lanterns by night, Luminarias is a sight to behold. The Spanish-style hacienda is adorned with bold Latin décor, tropical greenery, arched doorways, cobblestone paths as well as a wraparound two-story patio, a waterfall, pond, old world fireplace and an impressive entryway. Meaning "Light on the hill" in Spanish, feel like you’re in the center of beautiful and bustling Mexico City with all the familiar sights, sounds, tastes and smells at Luminarias. Whether you’re stopping in for Brunch on Sunday after church to enjoy our mouthwatering Menudo and handmade tortillas (just like abuelita used to make them), taking a break on a warm summer day for an antojito like the Coktel de Camaron or Baja Ceviche Clasico, indulging in a refreshing Coronita on the patio, coming together with friends and family over rustic meals like Birria and Chile Relleno, bringing your special someone for a tender moment set against the sunset, stunning view or soft glow of the lanterns – we welcome you to eat, drink and celebrate with Luminarias. 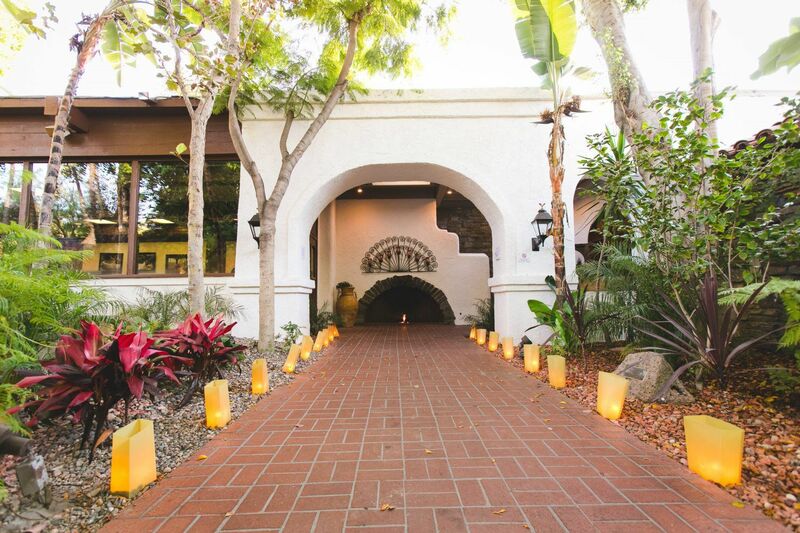 Whether you’re celebrating a life milestone or planning a business event, we welcome you to The Luminarias. Our special events team is dedicated to making your next corporate event, wedding reception, social gathering, themed celebration or private party memorable. Let our expert event team design, coordinate and execute your occasion flawlessly.